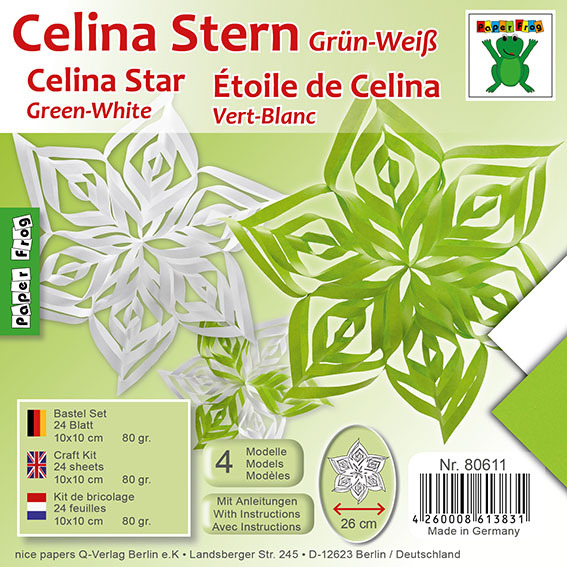 In the trend color "Greenery", the Celina Stern is fresh and bright. As a decoration on a window, on a door or as a gift, the Celina star is enchanting and brings the spring into your home. The six tips are crafted one after another and are then glued together. Manufacturer: nice papers Q-Verlag Berlin e.K.